Australian made and owned, De Lorenzo has a natural approach to haircare. They combine new technologies with their philosophy to provide professional hair salons with high quality products in an environmentally responsible way. Their products contain Certified Organic ingredients and are free of petrochemicals. 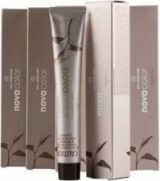 Navarna Hair Excellence clients are enjoying the professional use of De Lorenzo NOVACOLOUR range for colouring and styling, and the PRESCRIPTIVES and ESSENTIALS ranges for beautiful treatments and results. We retail our favourite De Lorenzo products in-salon. 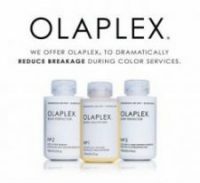 Olaplex - the "game changer"- is a specialised treatment product that rebuilds hair from within. It is specially formulated to help rebuild and protect heavily coloured and chemically treated hair. It is free of silicone, sulfates and gluten and is never tested on animals. In-salon, our clients enjoy amazing results from this innovative product. We also retail Olaplex No.3 Hair Perfector. This amazing treatment will keep your curly or frizzy hair radiantly smooth and straighter for up to three months. It can be used on all hair types. 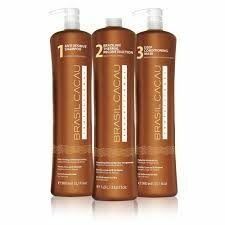 Unlike other straightening solutions, Brasil Cacau Keratin is not made from harsh alkaline chemicals. Instead, it is a blend of proteins and silicons that fill the gaps usually found in frizzy, damaged hair. Navarna has carefully selected the Show Pony Premium natural hair extension product for in-salon use. Their range of hair colours and lengths is comprehensive and allows us to get “wow” factor results for all our clients! We have access to their full range of tape extensions. We do full colour matching and have access to the entire Show Pony colour range. Why not take advantage of a FREE consultation. 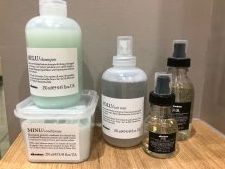 Our Davines favourites are their Minu shampoo, conditioner and treatment which are beautiful organic products. We also love their beautiful Oi Oil, a multi-purpose styling treatment rich in roucou oil, which stimulates the production of melanin. The (which keeps grey hairs and frizz at bay). while roucou oil lowers cellular damage from sun exposure as it contains a natural SPF. That just means it helps with hair aging! The emollients in the oil help with hair hydration, detangling and help to add sheen to hair. We have an established relationship with Juuce because the styling products of this Brisbane-based brand really work. Juuce was developed by hairdressers for hairdressers with today's contemporary styling and hair care in mind. Our favourite Juuce products are Wake Up - a dry wax spray, that adds texture, body and shape with a matt finish – and the Juuce Stuck Up hair lacquer. We also periodically stock Juuce shampoo and conditioner. We offer eyebrow and lash tinting, and facial waxing. We love the Christian eyebrow makeup, which is so effective yet simple to apply. It is great for people who want fuller, beautifully contoured brows. Using the stencils, we can tailor the perfect shape for your face. 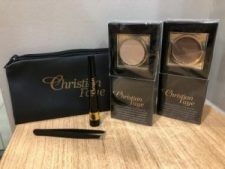 We retail Christian eyebrow products in-salon, but why not try a complimentary Christian Eyebrow Makeup with your next treatment at Navarna. Note: Images shown are courtesy of respective hair care companies.